We like to imagine some poor farmer in Oz who’s just trying to get by. He wakes up before dawn every day, milks the cows, gathers the eggs, plows the field, harvests the corn, and finally gets to retire to his chair after yet another grueling day of backbreaking labor. It’s a hard life. The bank is breathing down his neck and he doesn’t know how he’s going to pay his mortgage if there’s an early frost that year, but everything he has he has earned himself, and at the end of the day he is his own master. But one day he wakes up to the sound of frantic caws. Something’s wrong. He jumps out of bed and runs to the field only to realize every farmer’s worst fear: that his scarecrow developed sentience and went on a quest for brains with a strange girl who crashed her farmhouse into the next town over that morning. The crows have eaten everything. Somehow they’ve even milked the cows with their little crow feet. Such is life in Oz. But we don’t blame the scarecrow for taking off. Brains are a very important body part, second only to the spleen. So, does your little guy wile away the hours conferrin’ with the flowers? Have you ever noticed him consultin’ with the rain? 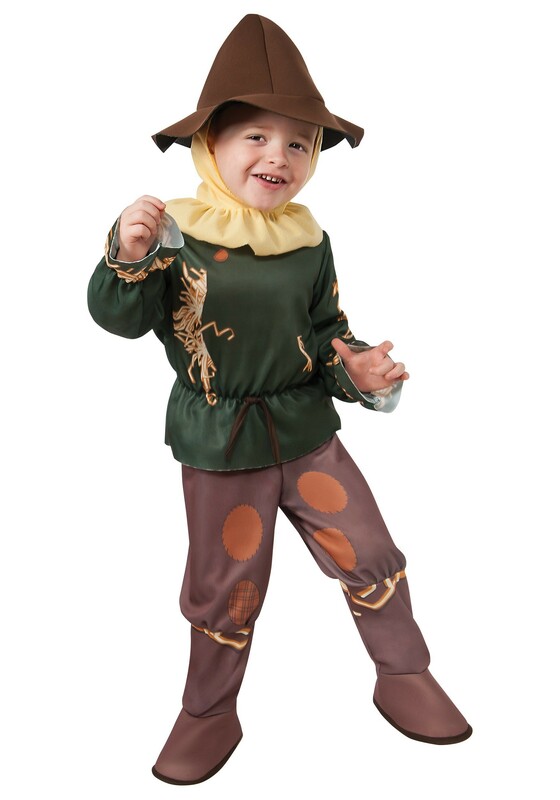 Then the Wizard of Oz Scarecrow Costume is perfect for the scamp! If you have a girl and two other boys, man, do you ever have the opportunity for a great group costume. Or if your little Scarecrow only has a brother, dress him up as a very confused Batman!